This Sunday Sketch is of Clodin as a My Little Pony. 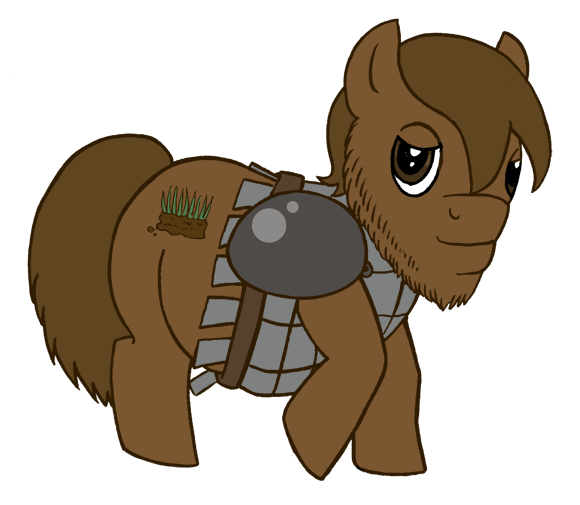 Clodin is a Dwarf so I decided to make him a shetland pony – and a shaggy one at that so I could get his beard in without it looking too weird. He actually turned out pretty cute. His Cutie Mark is a rather obvious one, it’s a clod (or sod) or earth. I notice that the male ponys (bronys) where there show up in the cartoon (pretty rarely) are less stylistically rigid than the females.